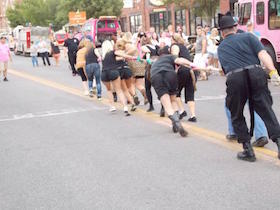 Historic Delano was founded in 2007 to put on a St. Patrick's Day Parade. 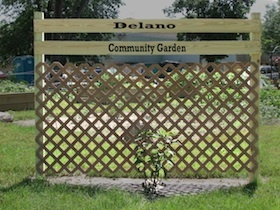 Since then, we have organized or assisted with dozens of events bringing thousands of people to Delano. Here is a retrospective of the journey. Nancy has these visions... No, not that sort of visions! She sees possibilities in situations and finds ways to make things happen. Just beware whenever you hear "I have this vision..."
"How difficult could it be? It's just a parade..."
To discourage thefts of produce from the garden, it was decided to put up a fence along the street on two sides of the garden. 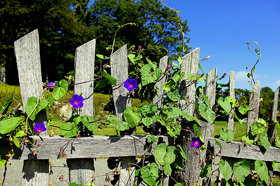 But this would be no ordinary fence... it's an ART FENCE! The posts were installed in the fall of 2011 and frames were built between them. Early in 2012 gardeners, neighbors and other interested parties used found or recycled objects to decorate the empty frames. The project ended with a Garden Party to show off the new fence! 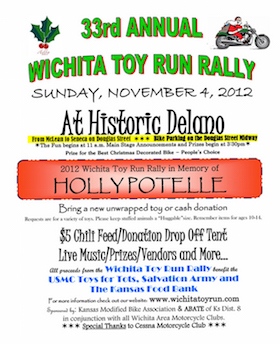 The Wichita Toy Run had gotten quite large and was facing increasing security costs so in 2012 they decided to try doing a Rally instead. The turnout was good for the rally, but ultimately they went back to doing a run - the motorcycle community preferred it that way. 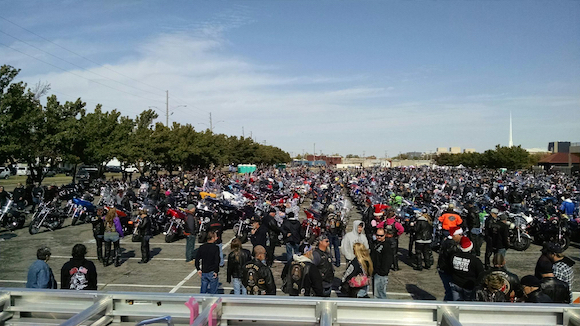 They still gather in Delano at Lawrence-Dumont Stadium before their ride. Copyright 2019 - Historic Delano, Inc.